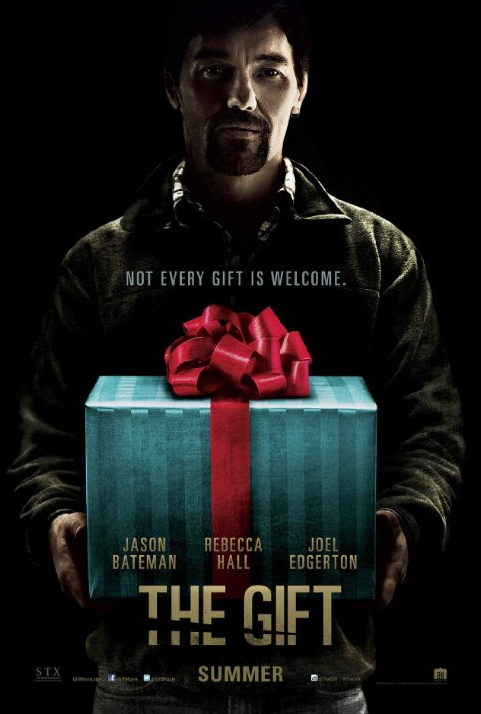 You would think that, with a title like “The Gift,” this would be an uplifting, cheerful movie. Absolutely not so. Don’t see this movie if you live alone. But if you feel safe at night, and if you aren’t afraid the dark and the people who can emerge from it, this is one tight and twisty thriller. It has the stars of a major movie – Rebecca Hall, Jason Bateman, Joel Edgerton – but the sensibility of an independent film. It starts with an atmosphere of uncertainty and foreboding: Simon (Bateman) and Robyn (Hall) have just moved to Los Angeles and buy a modern home on a hill. While furnishing it, they run into Gordo (Edgerton) from Simon’s high school days, looking to renew old friendships. Gordo seems a bit naïve, reclusive, needy — and weird. We suspect there is more to him than meets the eye. Or maybe not. This is Edgerton’s debut – as a writer and director — and he’s telling a tight little story filled with uncertainty and tension. He doesn’t want you jumping out of your seat; he wants you sitting on its edge, feeling uncomfortable as he leads you down a path filled with secrets and deceptions, misdirection and left turns – and leaves you wondering: is it possible for people to change? The story is actually better than the casting. Each of the three main actors seems to be in their own movie, with little chemistry between them — still…what a smart, edgy and atmospheric little movie. The plot feels fresh and sparse. With the exception of language, there is nothing offensive in here. Nothing is stretched beyond where it needs to go, sub-plots are important to the story, dialog is enough to reveal the characters, but never tells us more than we need to know. Even if you’ve seen a lot of movies, I suspect this one will have you engrossed, engaged, and guessing until the end. The final frames will be helpful, but not conclusive. And not frustrating. As in the best movies: We see what we want to see, and take away what we believe.